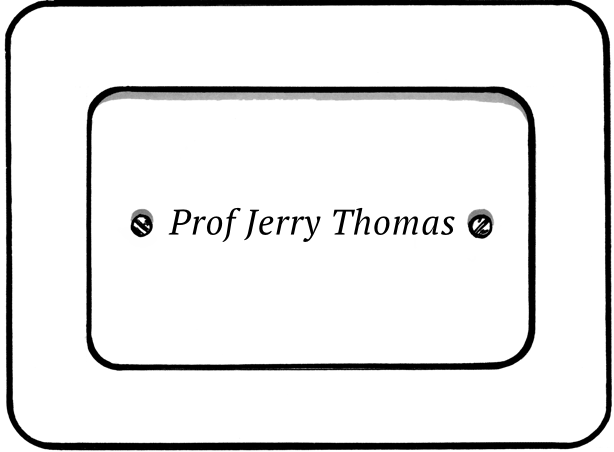 The Jerry Thomas Speakeasy arises from the idea of bringing back to light a forgotten classic mixing style. In 2010 a group of bartenders decided to open a small club in the heart of Rome in which colleagues, spirit passionate, curious and industry representatives could meet and share their expertise and knowledge. This was actually the first italian “secret bar”. The years that follows have been made of travels, constant study, cultural exchanges, seminars and loads of determination which led the Jerry Thomas Speakeasy to the “50 world’s best bars” for five years in a row. In 2013, after a long and meticulous research, both historical and technical, the “Vermouth del Professore” was ready, first of a long series of quality products conceived with the collaboration of “Antica Distilleria Quaglia”. After eight years, the “Jerry” keeps being a reference meeting point for the bartending industry in Italy, by prosecuting its efforts in seeking, sharing and spreading its knowledge with the same initial enthusiasm. According to the legend wich cocktail was born in Pendennis Hotel in Louisville?